Conti has completed construction on the much-anticipated $17.5 million 9.9 MW ground-mounted Beaver Run solar photovoltaic (PV) array in Lafayette, New Jersey. 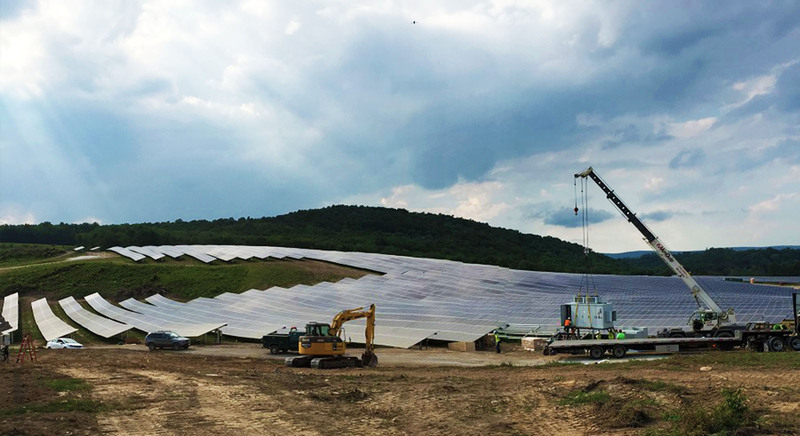 After taking over the project from a previous contractor in 2015, Conti, along with energy development partner 1906 Group, developed the new solar farm under an engineering, procurement and construction contract on a 36-acre property in record time, achieving mechanical completion in less than two months. The team was also able to finance the project in just 60 days. 1906 Group proposed an arrangement to finance the solar farm as a merchant facility, relying on short term Solar Renewable Energy Certificate (SREC) contracts and on the project’s ability to sell power into the Pennsylvania, Jersey, Maryland wholesale power market. The deal capitalized on the solar market swing, maximizing the near term value of the solar attributes while keeping SREC upside value. Now completed, the Beaver Run solar PV array is interconnected to the Jersey Central Power & Light Company distribution system, which transmits electricity to 1.1 million homes and businesses in 13 counties in central and northern New Jersey. 1906 Group will be responsible for operating and maintaining the Beaver Run renewable energy system.